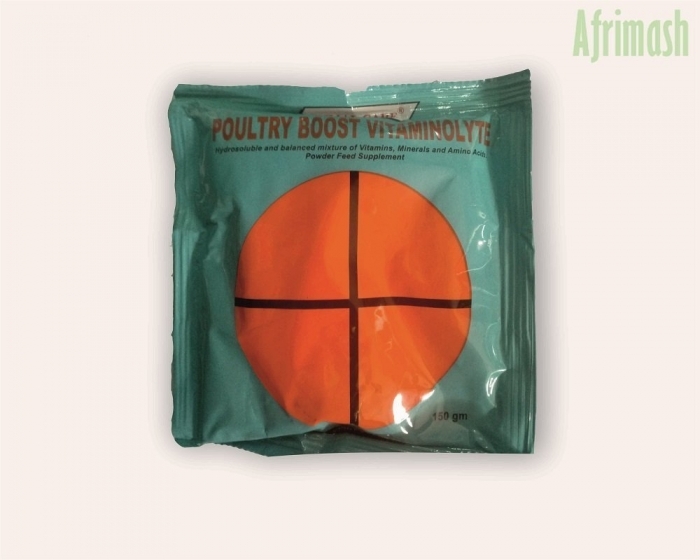 Poultry Boost Vitaminolyte is a hydrosoluble powder feed supplement with a balanced mixture of vitamins, minerals, and amino acids. It is recommended to improve the performance of poultry flock. Aid in the maintenance of good health and performance. Combat stress during periods of heat, convalescence and post vaccination. General improvement of flock performance. Routine: 150 g per 200 liters of drinking water for 7 consecutive days. Strategic: 150 g per 300 liters of drinking water during 3rd to 6th week of age.